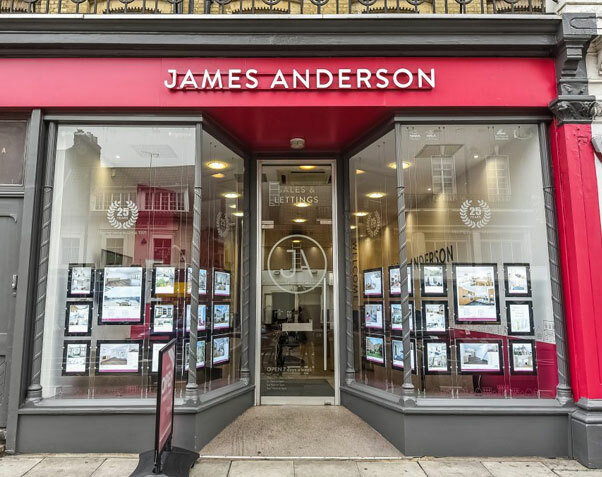 Here at James Anderson, we showcase the best properties on the market in Putney and guarantee the most efficient sales and lettings process in SW15. Our top priority is to provide transparent and friendly customer service to all, standing out with our excellent local knowledge and independent ethos. We will not only be assisting you every step of the way to help you find your perfect home; we will also help you to feel at home throughout whole process. 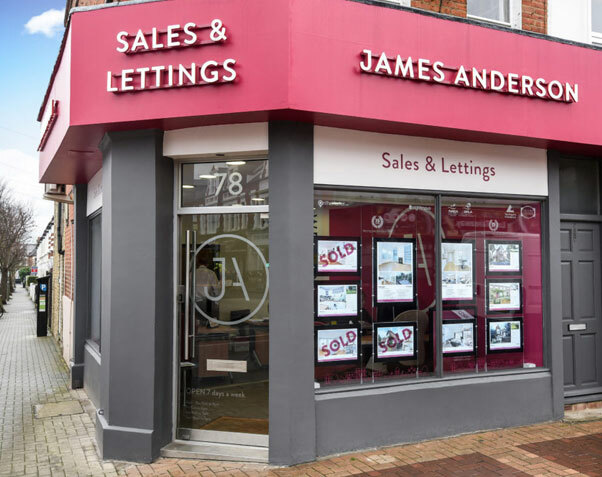 Feel free to flick through the sales and lettings we currently have on offer in Putney, read our area guide below or come and speak to our Putney lettings agents in branch. With its stunning open spaces and rich architectural history, Putney has the feel of an oasis within the capital; it’s easy to forget it is only a fifteen-minute commute to the heart of Central London. Putney’s thriving community feel, excellent schools and rich network of sporting clubs make it a great location for families, while its riverside pubs, quirky cafés, independent stores and cool restaurants attract a dynamic community of students and young city professionals. There was a time when Putney was called Putelei or Putenhie, according to the Domesday Book of 1086. Fast-forward to 1855 and Putney is a part of the Wandsworth district of Surrey, soon to come under the new county of London in 1889. The first bridge between Putney and Fulham was built in the first year of the Civil War, 1642, about 500 yards downstream of the present bridge. But this bridge actually consisted of a line of boats – it was only in 1726 that the first permanent crossing was completed, becoming the second bridge across the Thames in London after London Bridge. Parking the boats elsewhere, this bridge had a wooden structure that lasted for 157 years. “Enough about bridges, what about houses?”… I hear you ask. Fans of historical architecture will not be disappointed! Putney’s rich history (dating back at least as far as the Normans) has resulted in an elegant and eclectic mix of stylish accommodation, encompassing Georgian, Victorian and Edwardian properties, as well as a few stand-out Art Deco buildings to boot. And that’s not to mention a range of contemporary houses and apartments. Whatever your preferred style, you’ll be more than likely to find it in this fascinating area – see for yourself! One of the great joys of living in Putney is the river walks. Dotted with pubs, bars, cafes and restaurants, this exciting section of the Thames will be right at your doorstep. The Duke’s Head and The Boathouse, amongst many local eateries, combine stunning views with great food, and The Half Moon hosts regular live music within its riverside gastro pub. The High Street is buzzing with independent stores and cafes, giving Putney a real community feel. Pop into Ground Coffee Society for a riverside top-up of artisanal coffee (just follow to sweet smell of fresh beans), and follow up with some superb sushi at Sushi54 or antipasti at Enoteca Turi. All within a stones-throw of one another – oh, how we love local life in Central London! Our Putney estate agents shared their recommendations on what to do in Putney on our blog. For most Londoners, the amount of green space in and around Putney comes as a welcome surprise. The 400 acres of Putney Heath is infamous for seventeenth century dueling, but loved for its rolling mix of parkland, lakes and woodland – perfect for those long weekend runs and rambles or those lazy summer picnics. Wandsworth Park offers an equally elegant alternative of tree-lined paths and ornamental gardens, with the additional attraction of Putt in the Park mini golf for the kids (or those particularly excitable grown-ups!). Putney comes to the world’s attention at least once a year as the launching point for the Varsity Boat Race, and throughout the year serves as the location of several rowing clubs on the Putney riverbank for rowers of all standards. There are also excellent golf and cricket clubs, namely the London Scottish Gold Club (the third oldest course in England) and Putney Cricket Club, which was founded way back in 1870. You may also fancy brushing up on your backhand in Wandsworth Park with the masterful help of All Star Tennis Coaching. Putney boasts a diverse range of quality local schools. Popular state primary schools include Our Lady of Victories, St Mary’s CE Primary School and Brandlehow Primary. In addition, there are two very highly-regarded Academy Schools: ARK Putney Academy and Ashcroft Technology Academy, and private school options include the excellent Putney High School for Girls and St Paul’s School for Boys. The only problem here is that you might be spoilt for choice! Putney has some of the best commuter links in South West London, with the commute from Putney Station to Waterloo and Central London taking only fifteen minutes. Putney Bridge and East Putney tube stations offer a twenty-minute underground route to Piccadilly Circus. Furthermore, as with any part of London, the area is also served by numerous buses to all corners of the capital. If you’re looking for a more leisurely London commute, the River Bus ploughs the Thames all the way from Putney Pier to Canary Wharf – a lovely way to start your commute (at least in the summer). Want to find out more about this part of SW London? Read about the benefits of living in Putney and things to do in Putney on our blog. Browse our property to rent and to buy in Putney, simply search via SW15.